Kyra Latimer reluctantly returns to Latimer Lodge to help her grandmother organise a house party in the hope of attracting a rich husband for her beautiful younger sister. Lord Nathan Stanford, the guest of honour, is easily able to resist Melanie Latimer’s charms but is intrigued by Kyra’s secretive activities. Why did she leave her family home and why, at such a young age, has she withdrawn from the marriage mart? This romance just glides along neatly. Kyra Latimer is tasked with introducing her younger sister Melanie at a house party hosted by her grandmother. Several eligible bachelors have been specifically invited, in the hopes that one will be encouraged to offer for the young woman's hand. There are complications, however, beginning with a history of gambling addiction in the family and a crumbling manor. Not to be taken in, Nathan Stanford, Lord Brentford, is much too discerning to be deceived. However, he notices other goings on, involving Kyra and her way of disappearing to deal with her own life outside the manor. Primary characters are well developed, with interesting secondary characters and the villain, who is an unfortunate gambler as well. There are several surprises, too. This is well written, interesting, and not run of the mill. The characters do not behave with classic, expected manners, so enjoy this for the story. I cannot spoil this further. 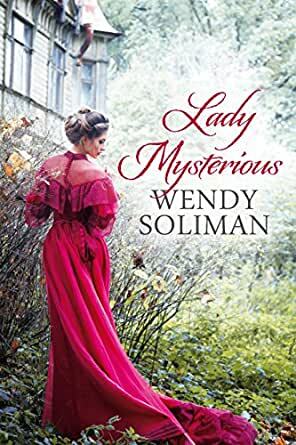 Wendy Soliman writes the most interesting books that keep you turning the pages waiting for the next surprise! Her characters are drawn so carefully that you feel you know them and can almost feel that they are people you know or have known.